The two-nation theory is the basis of the creation of Pakistan. It states that Muslims and Hindus are two separate nations, by all means, therefore, Muslims should be able to have their own separate homeland in the Muslim majority areas of British Indian Empire. In which Islam can be practiced as the dominant religion. It was then decided by Muslim political leaders to work for a separate homeland for Muslim from the British Indian Empire. On 23rd March 1940, the resolution was passed by the Muslim political leadership. The Lahore Resolution was prepared by the Muslim League Working Committee and was presented by A. K. Fazlul Huq was a formal political statement adopted by the All-India Muslim League on the occasion of its three-day general session in Lahore on 22–23 March 1940 at the place where Minar-e-Pakistan is built today as a sign of National Monument. 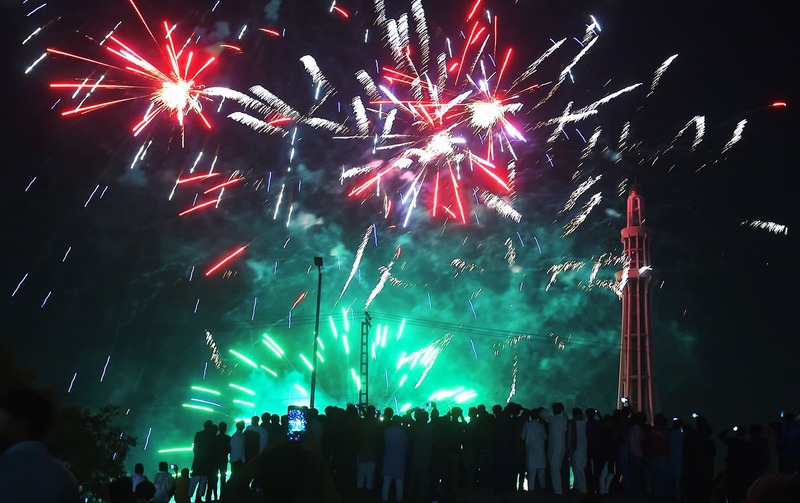 Pakistan Resolution Day, also known Republic Day, is a national holiday in Pakistan commemorating the Lahore Resolution passed on 23 March 1940. 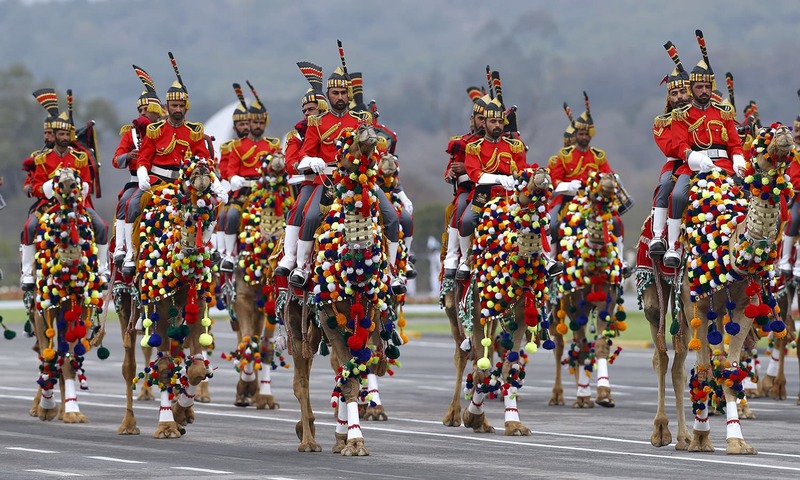 A Republic Day parade by the armed forces is often part of the celebrations. This day parade was called off in 2008, due to extreme terrorist’s activities. But after the restoration of peace in the country, these parades were started again in 2015. A few days back the parade took place again on 23rd March 2019 with its might and sensational. In this year celebrations, Chief guest was Malaysian Prime Minister Mahathir Mohamad. 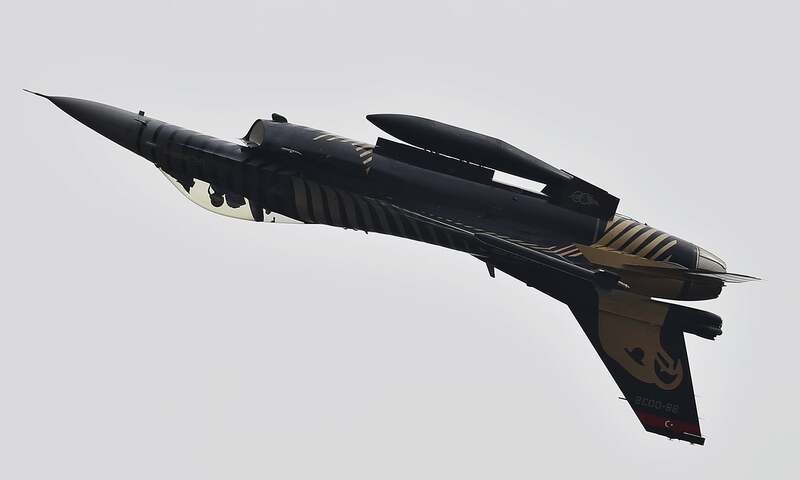 Some Foreign contingents also participated in the parade including People’s Liberation Army Air Force (China), Azerbaijan Army, Turkish Air Force, Saudi Arabian Army, Royal Bahraini Army, and Sri Lanka Army. These parades are meant to be the sign for the safety and security of the motherland and a silent message for the enemies not to try any misadventure for every misconduct will be answered in heavier response i.e. downing an Indian Mig-21 and Su-30 are the recent examples. Every year on this day i take this pledge to myself to be a better Pakistani for myself and for the rest of the world. On this day like every Pakistani, i take this pledge that i will always be there for my home land, my country, my Pakistan. 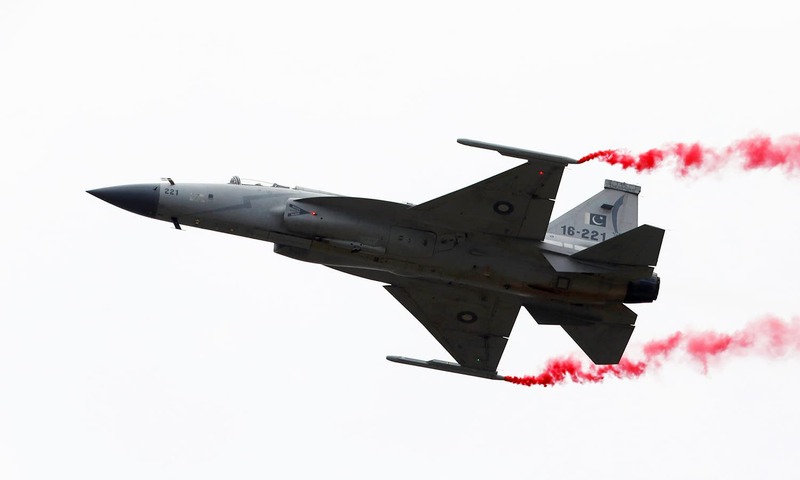 A PAF JF-17 Thunder jet performs during the Pakistan Day military parade in Islamabad on March 23, 2019. 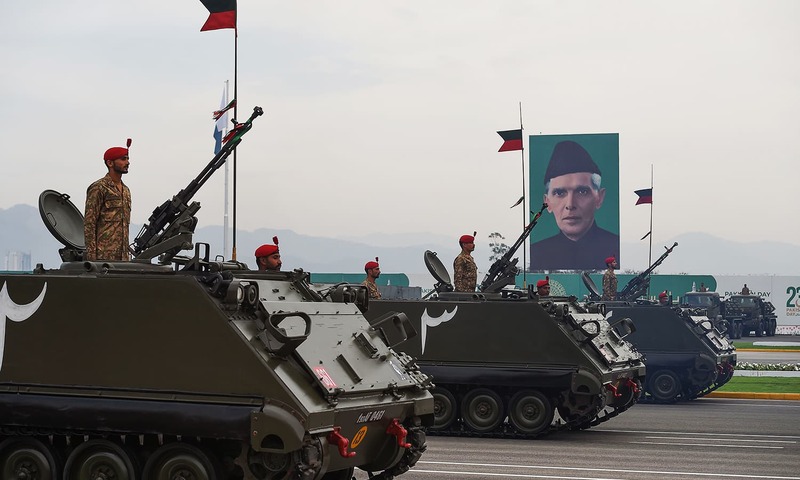 Pakistani-made tanks roll down during a military parade to mark Pakistan Day. 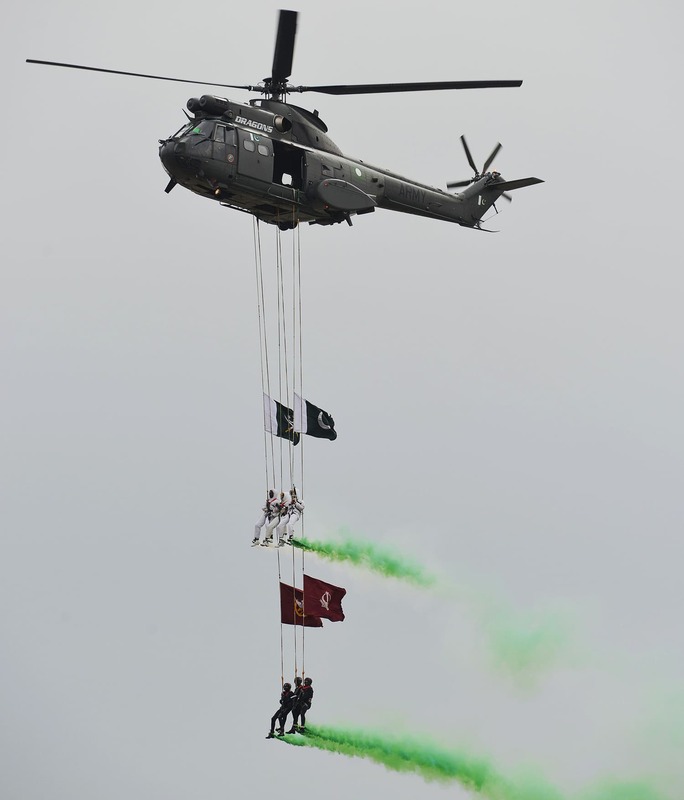 Special Services Group (SSG) commandos perform during the Pakistan Day parade in Islamabad. 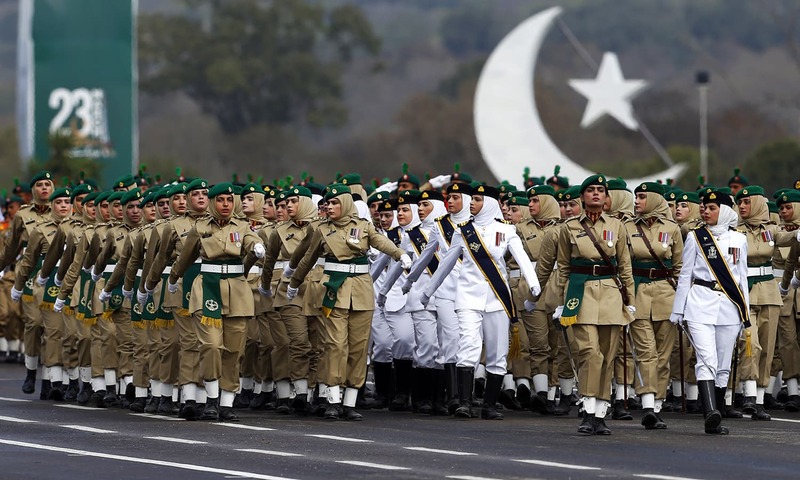 Pakistan Army soldiers march during a military parade to mark Pakistan Day in Islamabad on March 23, 2019. 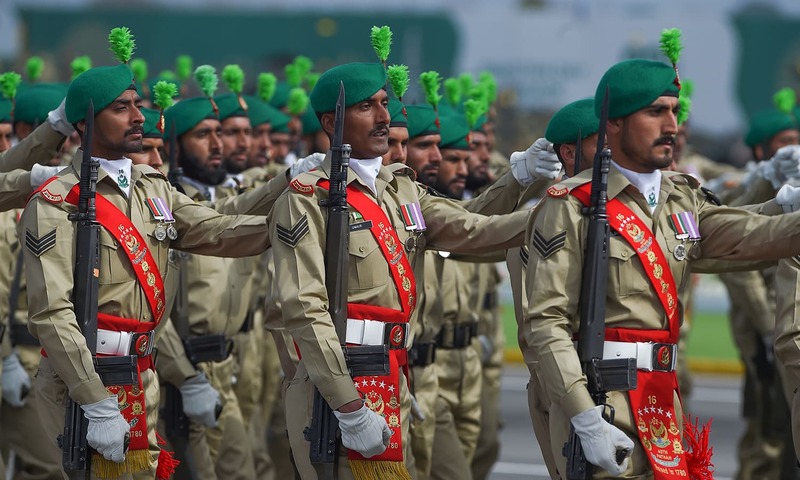 Troops march during the Pakistan Day parade in Islamabad on March 23, 2019. 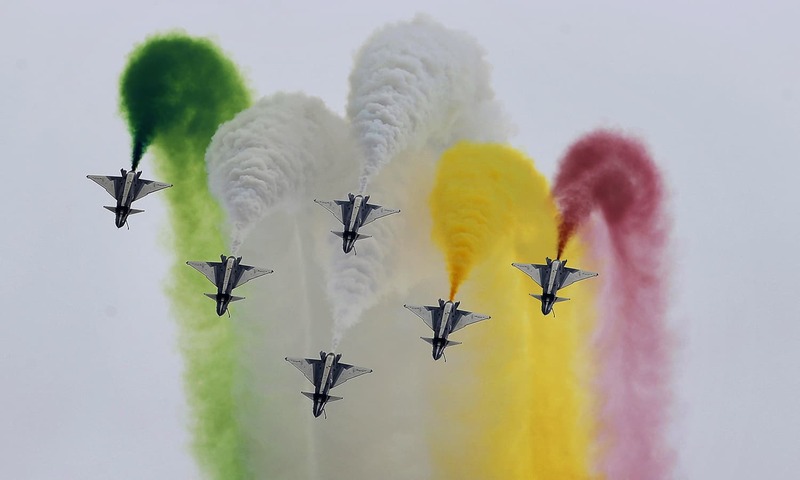 A Turkish fighter jet performs an aerobatic stunt during a military parade to mark Pakistan Day. 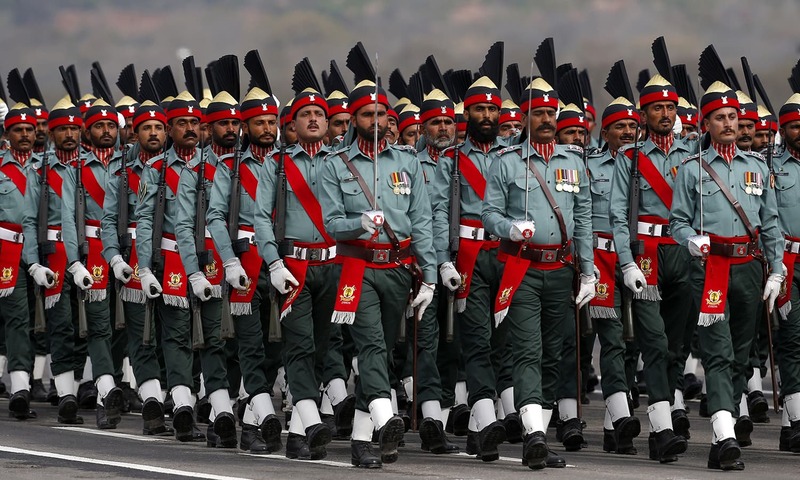 Visiting Azerbaijan troops march during the Pakistan Day parade in Islamabad. 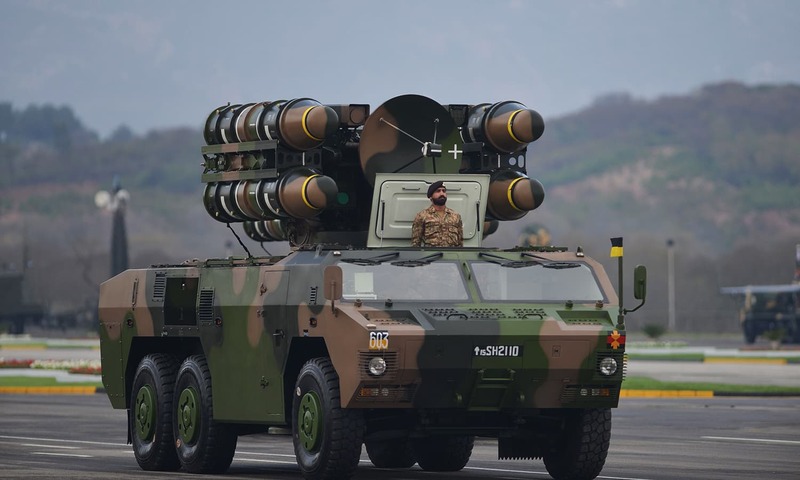 A soldier stands beside an Air Defence Systems during the Pakistan Day parade. 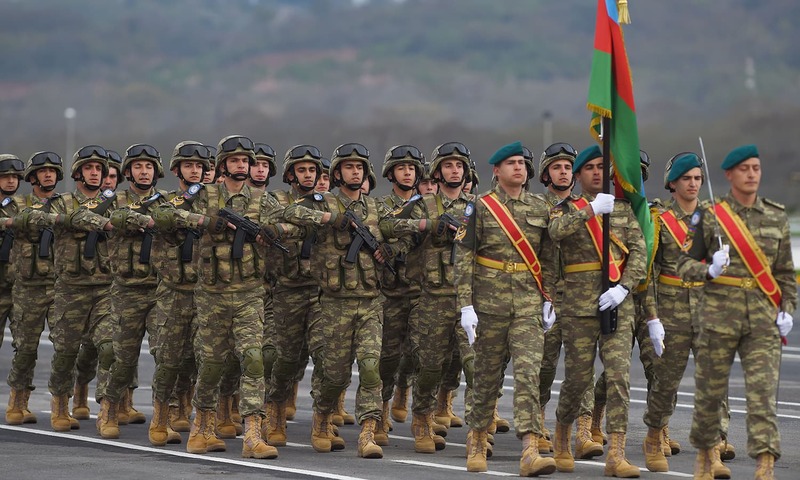 Paramilitary troops march during the military parade. 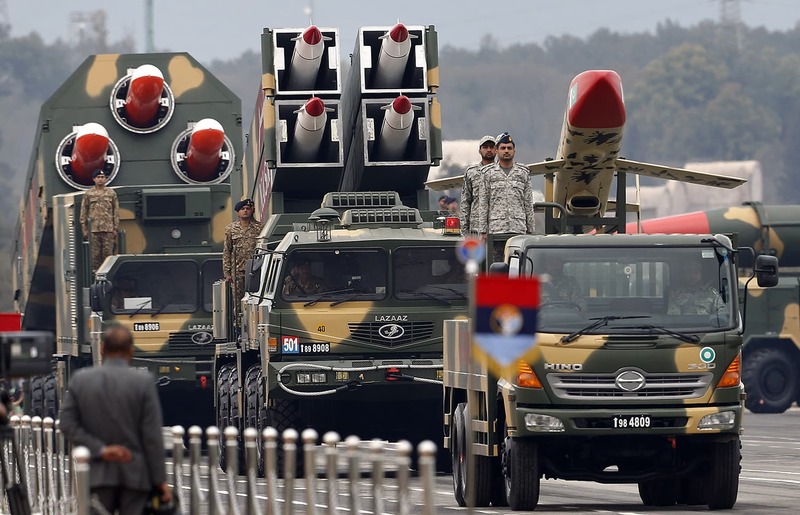 Pakistan-made missiles loaded on a trailers roll down during the military parade. 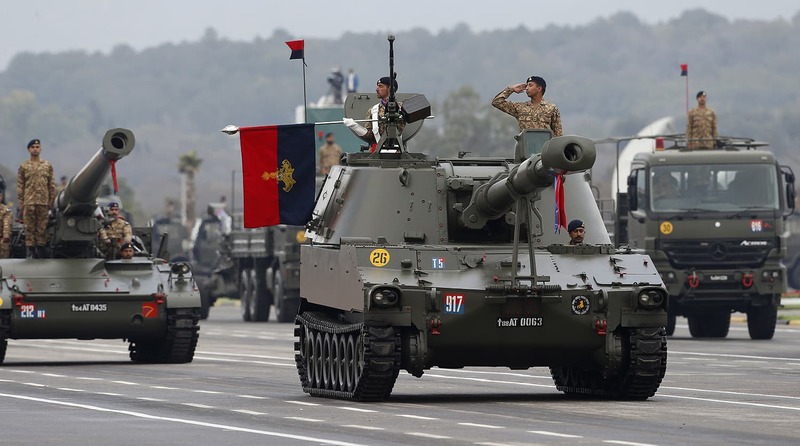 Tank crews steer their vehicles during the Pakistan Day parade. A made-in-Pakistan Shaheen-III missile ─ capable of carrying nuclear warheads ─ loaded on a trailer rolls down during the parade. 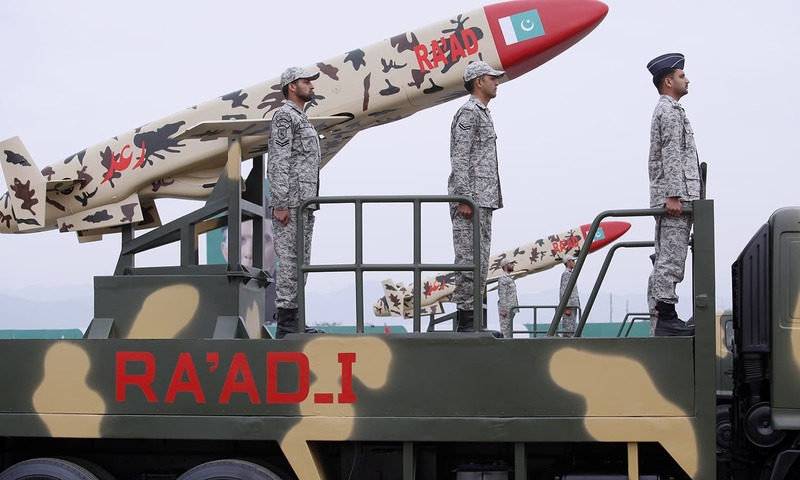 Pakistan-made cruise missile Ra’ad rolls down during the parade. The Pakistan Army musical band on camelback during a military parade to mark Pakistan Day.